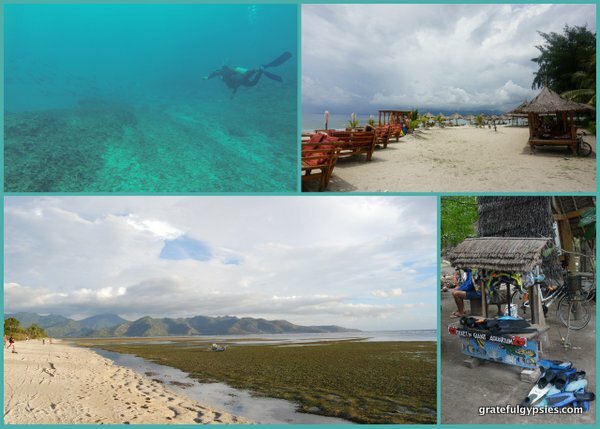 Gili Air is the closest of the three Gili Islands to Lombok, so it will be your first or last stop depending on which direction you’re traveling. 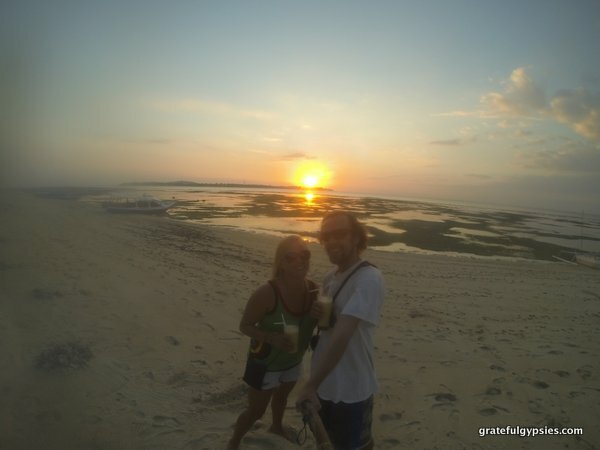 In the past this island was more popular with families looking for a quiet stay, while the backpackers looking for a party went to Gili T. However, because of Gili T’s upscaling and less affordable accommodations, more backpackers are flocking to Gili Air now. Never fear, though – it’s not a wild party here by any stretch of the imagination, and couples, single travelers, and families will all find something here as well. 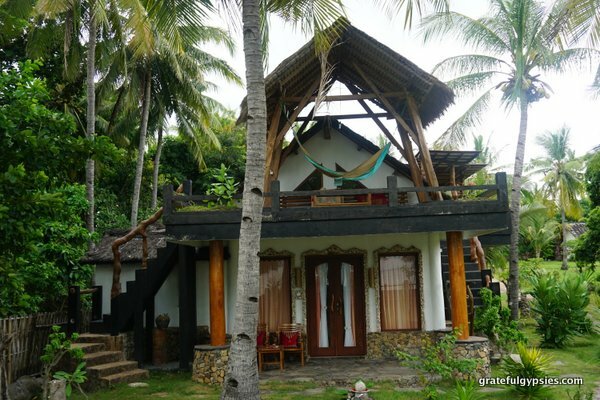 A really nice Gili Air villa. 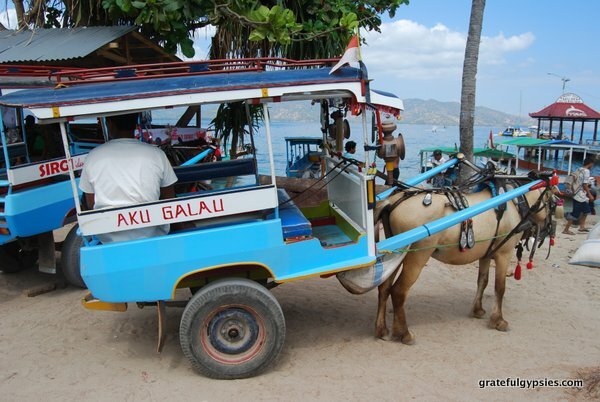 Just like the other two islands, there’s a wide array of accommodation available on Gili Air. There are plenty of backpacker-friendly places, mostly on the main road inland heading towards the village. In the mid-range category, there are lots of beachfront bungalows that are simple but cost more thanks to their location. If you’re looking to splurge, there are a few fancy places that come with all the amenities like a pool, air-con, and hot water. 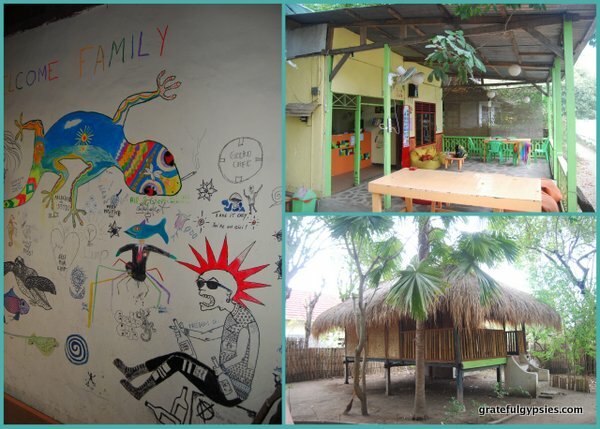 For both of our trips to Air, we stayed at Gecko Backpackers. Run by an awesome French lady named Cycy, there are just a few simple bungalows here running from about $15-25/night depending on the room. She used to have camping, but apparently the local government wasn’t feeling that and made her remove the tents. It’s super close to the pier, surrounded by great dining options, and she makes real tasty pancakes in the morning. Tell her the Grateful Gypsies sent you! Enjoying the beach and the water. 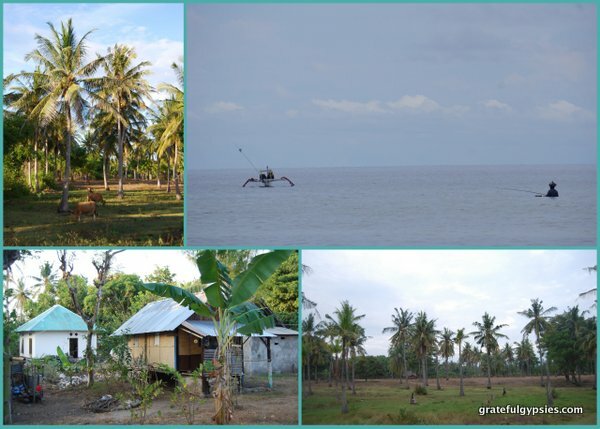 As with the other Gilis, water activities are the main attraction on Air. There are several dive shops on the southern shore offering dive courses as well as fun dives and snorkeling trips. It is not necessary to book a snorkeling trip, however, as you can snorkel just off shore. Freediving is also an option if you’re brave enough to try. Surfing, kite surfing, SUP (stand up paddle boarding), wakeboarding and kayaking are also possible. Of course, you could always just lounge on the beach. There are tons of restaurants/bars set up on the beachfront with comfortable seating, which you’re free to use for as long as you want if you order something. Bring your book and laze the day away – you’re on vacation, after all! Gili Air is the middle island as far as size goes. Just like the other islands the only transport options are bicycle, cidomo (horse-drawn carriage) and walking. It is very easy to explore the island on foot. A stroll on the outer path will take about 90 minutes at a leisurely pace. 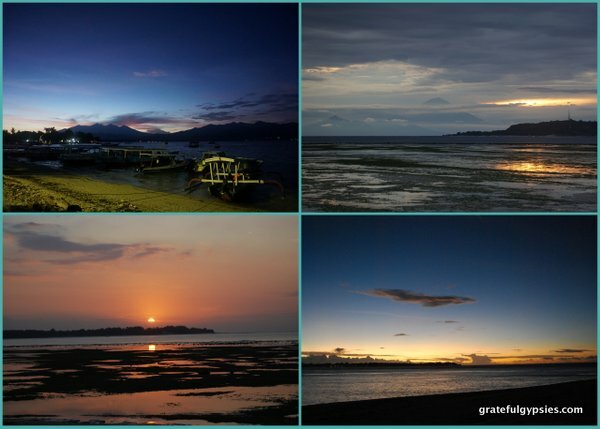 A few scenes of Gili Air. In order to cover more ground a bicycle is recommended. There are also paths that go inland where you can explore the village and see how the 1,800 permanent residents spend their days. 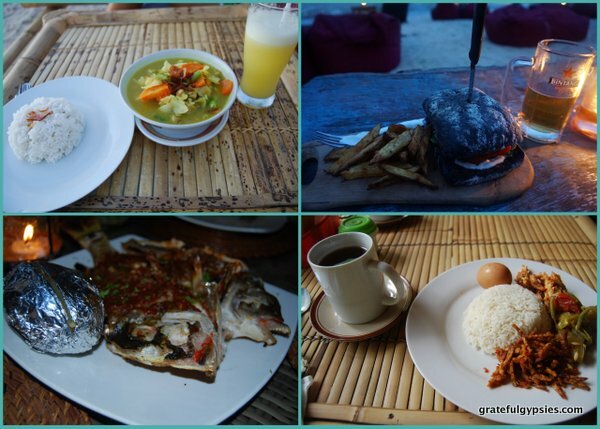 You won’t go hungry on Gili Air, as there are tons of options for dining. Head into the village for a cheap meal at a warung, or if you’re feeling fancy there are several delicious restaurants on the beach serving up Indonesian and western fare as well as fresh seafood from the day’s catch ready to be BBQ’d. 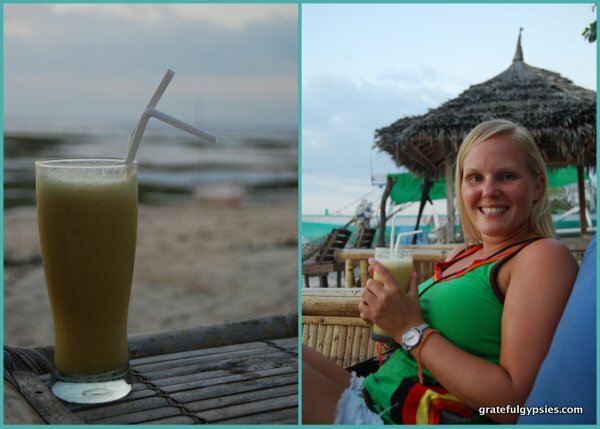 Make your own cocktails – the backpacker way to get a buzz! Nothing says “I’m on vacation on a tropical island” like sipping on fresh fruit juice, and there’s no shortage of it here. We particularly enjoyed taking in the sunset with one of these in hand, and they tasted even better with a bit of cheap rum that we brought over from Gili T. Sometimes you gotta do what you gotta do when you’re backpacking on a budget. Gili T may have a reputation as the “party island,” but Gili Air also likes to have a good time, too. 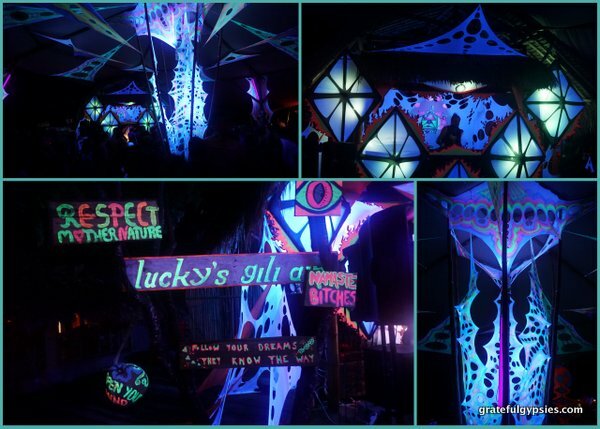 A little inland from the beach is a psy-trance bar called Space Bar. They host many parties throughout the year and started their own festival called Burning Island a few years back. It usually takes place over a weekend in April, and best of all it’s totally free! 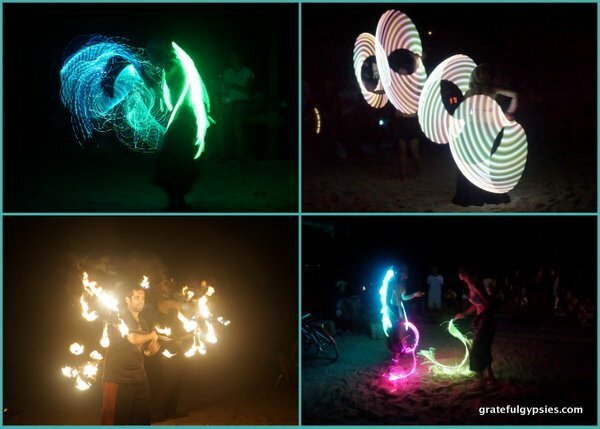 In addition to Burning Island, Gili Air also hosts a festival during Nyepi, Bali’s Day of Silence. Those who can’t bare staying in their hotel for a day can bounce over to Air for a weekend full of music on the beach. There’s also the new Air Festival at the end of March, giving you three options within one month. Sunsets and sunrises are epic here.